Most people taking the GRE sit for the computer GRE. But did you know there’s also a GRE paper test? Offered in locations where the computer GRE is unavailable, the paper-based GRE is a physical version of the computer GRE. Aside from format, though, are the two tests really all that different? Read on to explore everything you need to know about the GRE paper test, including what it is, who takes it, and when it’s administered. We’ll also conduct a brief GRE paper vs computer comparison and give you advice on how to study effectively for the paper-based GRE. What Is the GRE Paper Test? This means you can’t opt for the GRE paper test over the computer GRE simply because you want to. Ultimately, what version of the GRE you take — paper or computer — depends entirely on where you take the exam. Many areas administer the paper-based GRE instead of the computer GRE, including U.S. territories Puerto Rico and American Samoa, as well as select cities in Canada, Brazil, Russia, and South Africa. For an exhaustive list of paper-delivered test locations, refer to the official GRE test center PDF. So, who actually takes the GRE paper test? And will you have to take it, too? Who Takes the GRE Paper Test? Before we proceed, allow me to clarify something: the GRE paper test is far less common than the computer GRE. In fact, the vast majority of test takers take the computer GRE. According to 2016 ETS data, 98 percent of test takers took the computer GRE. This means a mere 2 percent took the paper version of the exam! So if you’re gearing up for GRE registration, chances are you’ll be taking the computer GRE, not the paper GRE. But how can you know for certain which version you’ll take? One way to check is to log on to your ETS Account and follow the GRE registration process for your city. Each available test time will contain an indication telling you what kind of test it is (i.e., paper or computer). Another method is to look for your city on the official GRE test center PDF. Don’t just assume that if you find your country you’ll for sure take the paper version of the exam. In some countries, the paper-based GRE is offered only in select cities — meaning, the computer GRE might be available in other cities not listed on the PDF. Therefore, we recommend searching for your exact city (or whatever the closest major city to you is). But how alike (and how different) are the two versions of the GRE anyway? GRE Paper vs Computer: How Do the Two Versions Differ? Additionally, the overall logistics are the same for both versions of the GRE. To register for either the paper GRE or the computer GRE, log on to your ETS Account; choose a test center, date, and time; and pay the $205 exam fee. *On the computer GRE, you will be given an additional Verbal or Quant section (unscored) in the form of either an unidentified experimental section or an identified research section. As you can see from the table above, there are several notable differences between the GRE paper test and the computer GRE in regard to exam structure. 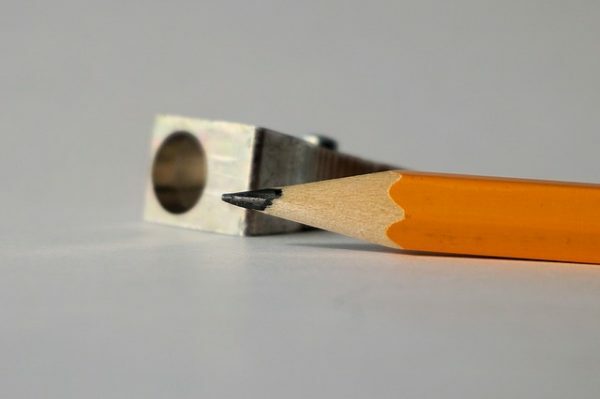 The paper-based GRE contains five additional questions per Verbal and Quant section, as well as five additional minutes per section (to account for the increase in questions). Furthermore, the paper-based GRE is not section adaptive like the computer GRE is. 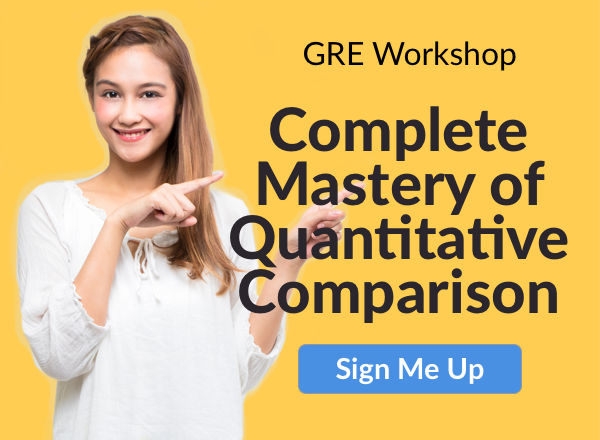 Other major exam differences include how soon you receive your scores — GRE paper-test scores take considerably longer to process — and how often each version of the test is administered, which I explain more below. When Can You Take the GRE Paper Test? Unlike the computer GRE, which is available nearly every day year-round, the GRE paper test is only available up to three times a year in October, November, and February. This means some test centers will administer the paper-based GRE all three times and others only once or twice. Therefore, don’t assume your test center will administer the GRE paper test three times — it might actually only do so once! For a full list of 2017-18 paper-test dates, go to the ETS website or check out our guide to all upcoming GRE test dates. Let’s say the test center closest to you administers the GRE paper test three times a year. In this case, which month should you take the test? 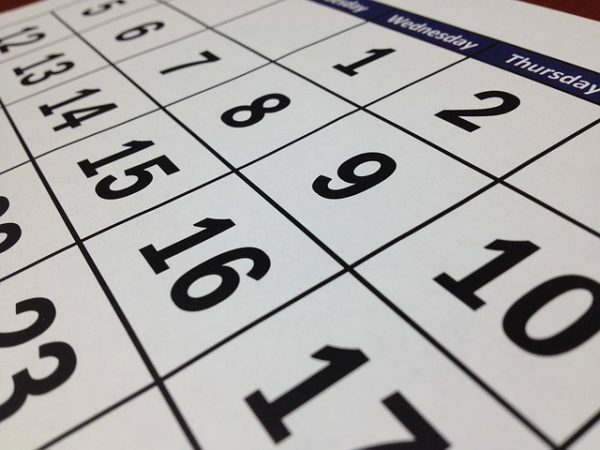 Generally, we recommend choosing a test date at least two to three months away so you can ensure you’ll have ample time to study for the GRE and hone your test-taking skills. Let’s look at an example. Laura is an aspiring grad student who will be taking the paper-based GRE. In August she begins looking at possible paper-delivered test dates. Because her grad school deadlines are all in January, she knows right away the February GRE date is a no-go. Additionally, she is OK with retaking the GRE, as all of her schools expect high GRE scores that’ll likely be difficult for her to hit on her first try. Ultimately, the decision of when to take the GRE paper test is yours and yours alone. However, as a general rule, always give yourself ample time to study (two to three months should suffice), and always give your schools enough time to process your GRE scores. For more tips on how to create a foolproof GRE study plan, check out our step-by-step guide. The truth is, studying for the GRE paper test is really no different from studying for the computer GRE. 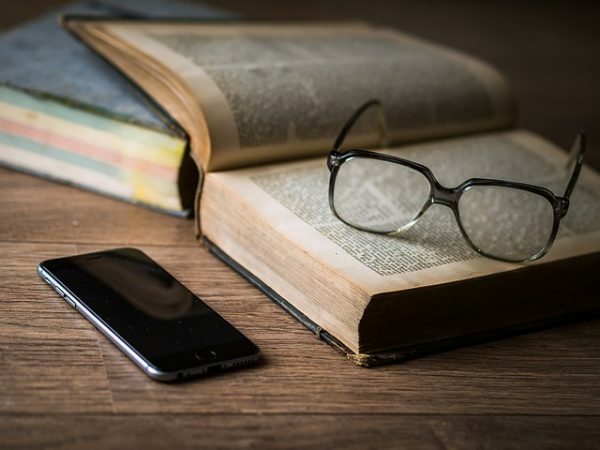 Most test-taking strategies apply to both versions of the test, and because their content is nearly identical, you can use almost all of the same resources and study materials for the paper and computer GREs. That said, the format of the GRE paper test differs significantly from that of the computer GRE, so your best bet is to prioritize paper GRE study materials over any computerized materials. Recommended resources include well-reviewed GRE prep books and high-quality paper practice tests. Normally, we advise test takers to obtain their baseline GRE scores using one of the two ETS PowerPrep tests; however, paper-test takers should instead work with the two official GRE paper practice tests. These free full-length tests (linked below) are official replicas of the GRE paper test, thereby offering paper-test takers a highly realistic testing experience in regard to both GRE form and content. On a related note, there’s no need to completely avoid the PowerPrep tests — these are excellent resources for additional practice questions! The only drawback is that there’s significant overlap between the PowerPrep tests and the practice test PDFs, so you can’t really use the PowerPrep tests as separate full-length tests. The paper GRE is a physical version of the computer GRE, administered only in areas where the computer GRE is unavailable. While most test takers take the computer GRE, it’s important you figure out ahead of time which version of the GRE you’ll have to take, so you can prepare efficiently. To do so, log on to your ETS Account and search for GRE test sessions in your city. Alternatively, you can look for your city or nearest test center on the official list of paper-delivered test centers. The paper GRE and computer GRE are extremely similar tests with the same overarching structure, content, and scoring scales; however, the paper-based GRE contains more questions and a little extra time for each Verbal and Quant section. The paper-based GRE also requires a longer waiting period (five weeks) for official GRE scores. In terms of availability, the paper-based GRE is only administered up to three times a year. If you’re struggling to decide when you should take the exam, be sure to consider your grad school deadlines, your GRE goal scores, and how open you are to retaking it. Also, don’t worry about trying to secure paper-test study materials. In general, studying for the GRE paper test isn’t all that different from studying for the computer GRE. Any materials geared toward the GRE will likely apply to either version of the test. Our only piece of advice is to prioritize paper study materials over computerized materials, especially when it comes to GRE practice tests. Ultimately, it doesn’t matter what version of the GRE you’re taking — just that you’re prepared, confident, and ready to get the scores you need! Need to register for the paper GRE or the computer GRE? Read our step-by-step guide to GRE registration to get all of the help you need with creating an ETS Account and choosing the best test date for you! Want to make changes to your GRE registration? Follow our guides to learn how to reschedule your GRE date and how to cancel a GRE test. Looking for GRE tips and resources? Check out our complete collection of GRE practice tests, our 34 essential GRE tips, and our picks for the top GRE study materials. Previous Previous post: GRE to IQ: Can You Convert One to the Other? 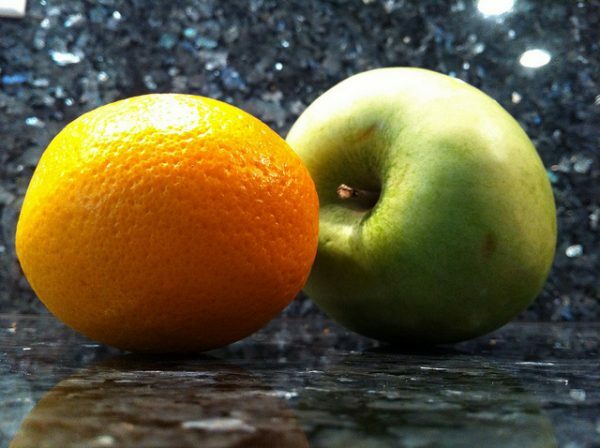 GRE General Info	GRE to IQ: Can You Convert One to the Other?